Home • Doggie Playcamp • Why Us? 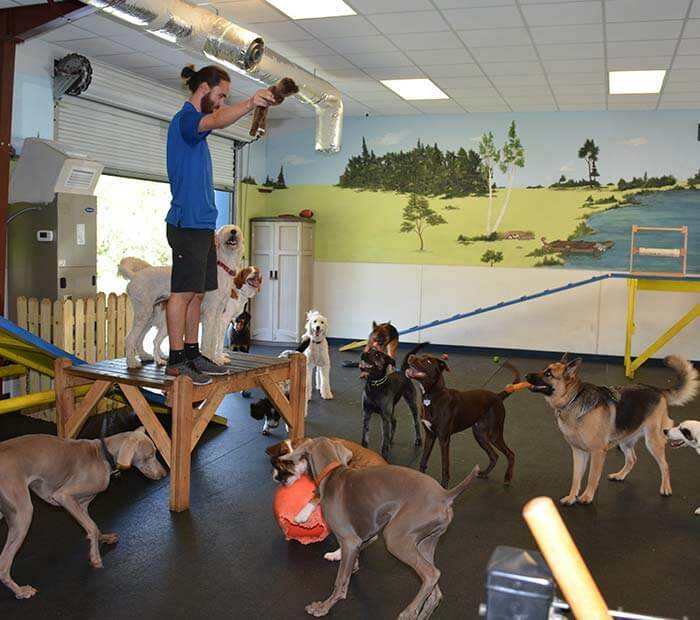 We are different from every other doggie day care in Orlando! We are centrally located in Winter Park. We have a large, air-conditioned indoor/outdoor center with multiple outside play yards right in the heart of Winter Park. We have qualified play group supervisors trained in animal behavior and basic obedience because safety is always the number 1 priority. We provide socialization to help dogs learn to interact and enjoy the company of other dogs. We offer a fun-filled, enriching day with group play sessions and nap times to ensure our guests have a full and enriched day. We are located within a Veterinary Hospital. This enables us to provide everything your dog needs to stay healthy and happy all in one location. In addition, should anything occur during playtime we have veterinary care immediately available. Our Doggie PlayCamp Center includes indoor and outdoor play zones, artificial turf and natural grass play areas, and multiple options for play in all types of weather and conditions. Playground dogs have access to fun puppy playground equipment in order to enhance their playtime experience. Feel free to ask a Client Service Representative to schedule a tour of our beautiful Doggie PlayCamp Center! People are important. Our Camp Counselors provide expert knowledge and care for your dog throughout the day so you will have the peace of mind of knowing they are safely enjoying their day. Our medical team is seconds away for your convenience and your dog's safety. All campers undergo a thorough evaluation during their initial playtime session in order to determine if socialization with other dogs is recommended for their personality type. Dogs are also split into playtime groups depending on size, personality, and overall playfulness! A typical day of playtime may vary from this example depending on the weather and the specific needs of your dog's play group.